DonJoy replacement cold pads. Available in sterile and non-sterile. Pads provide even distribution throughout the pad. EH, Universal (10.85" x 11.34"
I am having surgery on my forefoot and mid-foot next month. What pad would work best for me? Thanks! I bought my don joy cooler in about 2006. Do the new attachment pads still work or has the connection changed? The connection for the DonJoy Iceman Cold Pads is the same now for the machines as it was when you purchased your machine. They should be compatible. Will this sterile pad work with Ossur Cold Rush Therapy System? We do not recommend using the Donjoy Iceman Cold Pads with a system other than the Donjoy Iceman. I have epicondylitis, lateral and medial. Did you have a pad that is for the elbow and forearms? The Iceman Universal Wrap On Pad, https://www.betterbraces.com/iceman-universal-cold-pad-wrap-on, would be the best size for the elbow and forearm. I'm ordering a replacement pad. I know I want the universal pad, but what's the difference between RH & EH? I put a lot of pressure on my pads by putting it on my back while sitting and I have a problem with them leaking, seams busting lose. Is the sterile pad stronger? I had knee replacement surgery and a friend gave me his donjoy ice therapy system but it did not come with a knee pad. It came with a universal. I have been on line looking but I have no idea what pad is for the knee. Can I use the universal? I was going to buy a large rectangular pad but I am totally lost. Can you direct me please. You can use the Universal pad for the knee. 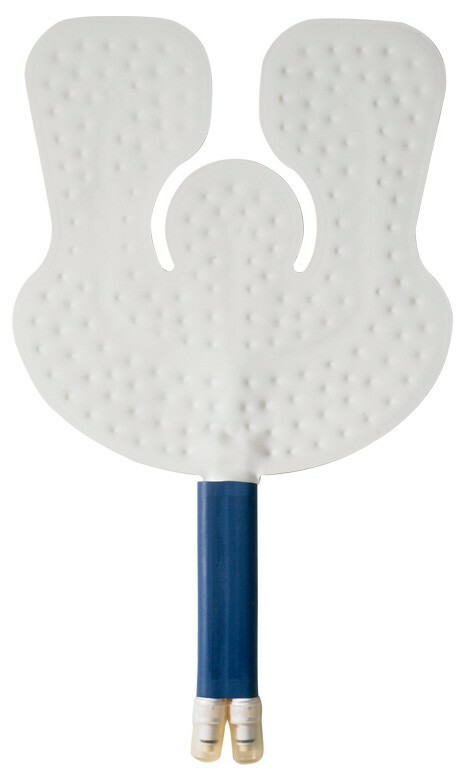 Most hospitals use the universal pad for the knee. disconnect the pad from the long hose and at the end of the short hose that is attached to the pad there are two white ends the push in. While pushing those ends in, push as much water and air towards the hose as possible. Make sure your water level is up to the fill line, also there is a small air vent on top of the motor that can be brushed out with a old toothbrush. I have hung my iceman pad and released as much water from the pad. It still looks like there's some trapped inside. Should all of the visible water be gone? I'm afraid to store it with any and have mold next time I need it. Unfortunately you will not be able to get all of the water out of the pad. when you get the unit out to use it again you should run warm water and bleach through the lines to break up any mold that may have developed in the pad or hose. I need a sterile donjoy shoulder pad for my left shoulder.do you have this? Will your pads work on a Sutter Blue Arctic? My apologies, but no, the DonJoy Iceman Cold Pads will not work with the Blue Arctic units. to the "McGuire Knee attachment. ", you mentioned in another answer. I believe the "O" rings are cracked on the unit I am borrowing. Can I get these rings at a Lowe's or Home Depot? I have a DePuy Orthotech CryoLogic Cold Therapy unit with A/C adapter and universal pad - but the pad has just sprung a leak. My wife has had knee surgery and is facing more surgery - the rest of the unit is fine. Will your Universal Pad work with this unit? My Universal Pad has mold building up inside of it. How can I clean this out. I've only used it for a month. Do they make a pad that can be used for the middle to lower back. That will work on the DonJoy Iceman. Hi, I have an older DJ 1100 series Iceman. Unfortunately, I need to use it again. The pump & hose are fine, but I need a universal replacement pad. Will your RH Universal fit this older model? Your picture looks similar, but not quite the same at the attachment point. My ice pad has two male ends with black O-rings that fit the receiver hose that goes to the cooler & pump. Thanks! What would the best pad be for a woman recovering from hip surgery? I used the iceman for a knee surgery and it worked great! No swelling and very little pain. My wife has foot surgery coming up and we'd like to get an attachment that will allow her to wrap her foot. What would you recommend? What is the bed hanger and how would it help? Also, I am having surgery on my shoulder blade. What would be the best pads to order? I have the Iceman Clear from my previous surgery on my shoulder about six months ago. For your shoulder the Universal Pad will work fine for you. The bed hanger is an acessory that allows you to hand the Ice Man unit on your bed. I have an old eb ice machine. The machine works great but pads are trashed. The attachments for the donjoy look the same. Can I use these pads as a replacement? Can I order and return if I leave packaging on to see if it will fit? I found another site that said they are compatable, but would prefer better braces. The Iceman Cold Therapy Units have compatible pads. Therefore, the Iceman classic can use the same pads at the Iceman Clear units. We offer a 90 day money back guarantee, if for whatever reason you are not satisfied with the product you can return it. Thank you for your question. I have an Iceman classic with a knee pad. I'd like to know if there is a pad to use on the lower back. Thank You. Yes, we have replacement parts for your Iceman. Do you have padsf or the Iceman for use on the shoulder? Yes we have replacement parts for the Iceman. Shoulder Cuff may be purchased . Below find the link to our Retail Website. I own the Donjoy Iceman. I have an attachemnet for a foot, which I used for my foot surgery. I am now havingg a knee surgery and would like to purchase an appropriate attachment for a right knee. Can you advice, please. You should look at the McGuire Knee attachment. I had a total knee replacement in October and the hospital sent me home with the iceman (of course at my expense). Within 2 days the cold pad formed a large water bubble to the point it would not release. Needless to say, after that the water would not circlulate so the machine was not use. With the amount I ended up paying for this machine/ice pads I was extremely disappointed and had to just use ice from the freezer. I am facing my second knee replacement and only need the ice pad but am worried about spending that sort of money when the first time it only worked for 2 days. At 40 some dollars for just the ice pad and using it not even a full 2 days was expensive. Why did this happen? I am sorry for your problems with our machine. You can always call customer support when you have an issue. Our products have a 6 month warranty. It is important to fill the machine to the level lines. Lift the cooler 15 inches above the knee andlet the cuff fill, then keep the cooler at knee level and plug it in. This should keep air from getting into the line or the cuff. What does the RH and EH designations mean on the Cold Pads? What does 'sertile' v. 'non-sterile' mean? Sterile and non-sterile refer to the pads, and if they have been sterilized before shipment. Needed to replace the pad we received from the hospital...response was immediate from Better Braces and we received the replacement pad the next day. Also had trouble printing the receipt from the email for tax purposes. I sent off a quick request to their customer services and they responded the next day with a printable receipt...outstanding !! Purchased the bladder for the back and it's fantastic. I have been a back suffer for 20 years or so and what helps me get through the pain sometime is my icemen machine and pad. It helps me with the pain. I ordered my Donjoy Ice pack replacement for our ice machine. It is perfect and it performs exactly as stated. Very happy with my purchase and customer service is excellent. The free icepack provided also works well, probably more comfortable for my recent shoulder surgery. This my second shoulder ice pad. The first one I had sense 2004. 12 years later, my new one I'm using on my knee after surgery. It works wonders to keep the pain at bay and the Swelling down. Thank you. I bought this for my boyfriend because he stepped on the original part broke after years. He loves this thing.